Our NEW! 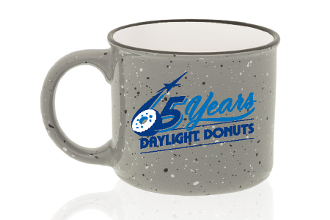 13oz ceramic camp mug is available in white or gray & printed with the 65th anniversary logo in shades of blue. Perfect for mornings spent lounging around the campfire or just the kitchen table!